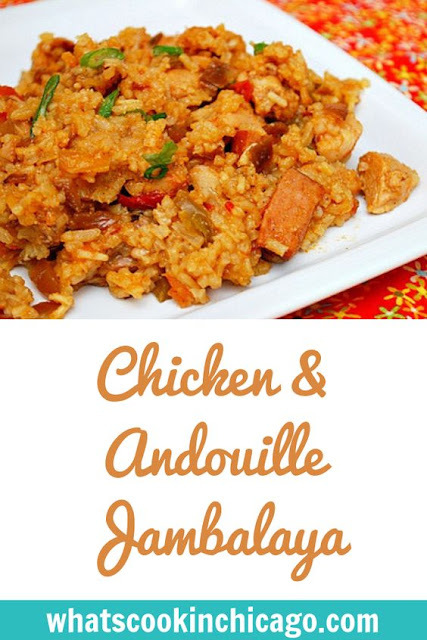 If there's anyone that knows a good jambalaya recipe, it would be Emeril Lagasse. I made this recipe exactly as written since there's really no need to alter it from a master. The recipe was very easy and it's my go-to recipe Cajun/Creole that can feed a crowd! Heat the oil in a large cast-iron Dutch oven over medium heat. Add the onions, bell peppers, 2 teaspoons of the salt and 1 teaspoon of the cayenne. Stirring often, brown the vegetables for about 20 minutes, or until they are caramelized and dark brown in color. Scrape the bottom and sides of the pt to loosen any browned particles. Add the sausage and cook, stirring often for 10 to 15 minutes, scraping the bottom and sides of the pot to loosen any browned particles. Season the chicken with the remaining 1 teaspoon salt and remaining 1/4 teaspoon cayenne. Add the chicken and the bay leaves to the pot. Brown the chicken for 8 to 10 minutes, scrapping the bottom of the pot to loosen any browned particles. Add the rice and stir for 2 to 3 minutes to coat it evenly. Add the water, stir to combine, and cover. 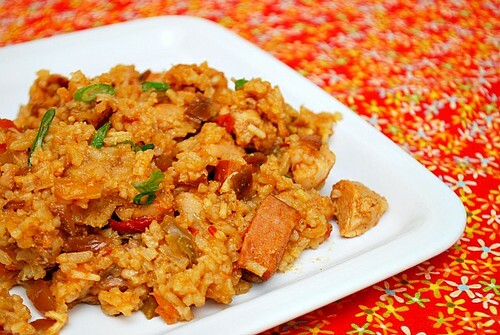 Cook over medium heat for 30 to 35 minutes, without stirring, or until the rice is tender and the liquid has been absorbed. Remove the pot from the heat and let stand, covered for 2 to 3 minutes. Remove the bay leaves. Stir in the green onions and serve.